Imagine this, you wake up in the morning and you stumble out of bed towards the kitchen to get your day started. You fill up a tiny machine that sits on the countertop with all the necessary ingredients and wait for it to make your favourite beverage. Sound familiar? You’re probably thinking I’m talking about coffee. Wrong. 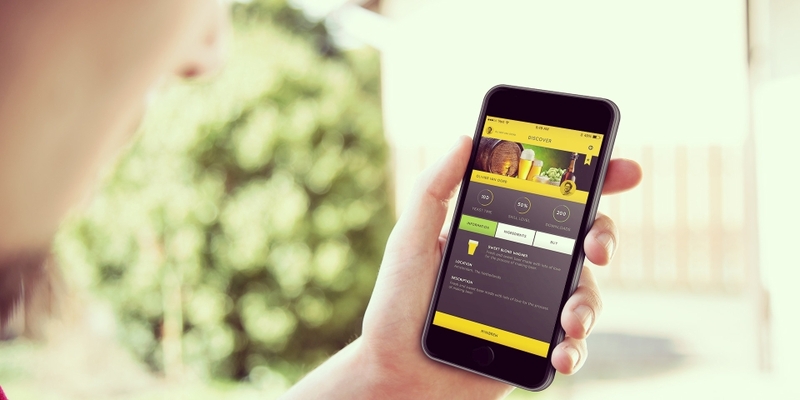 You’re making beer… On your countertop… As easy as it is to make coffee. No, you’re not still dreaming. 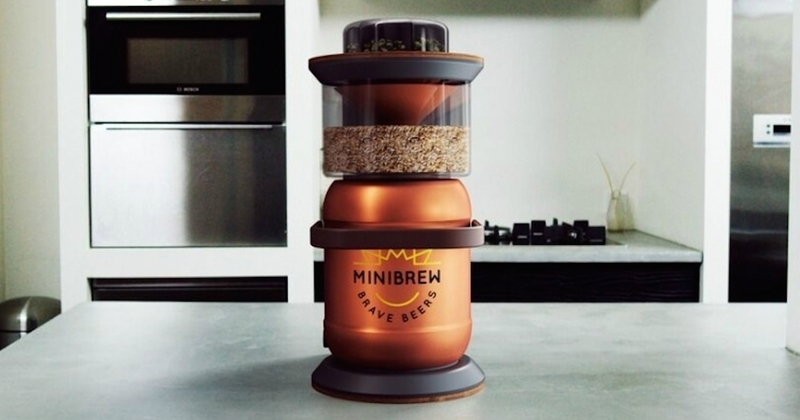 Olivier van Oord and Bart van de Kooij, the makers of the MiniBrew, just made it easier than ever to brew craft beers from the comfort of your own home. The MiniBrew will easily fit on your counter, it’s easy to use and it can pump out 5 liters of craft brew in around 3.5 hours. The fermentation time required before you can guzzle your handcrafted brew varies from a week to a few months. If you want to enjoy your own creation on football Sunday, you’re going to have to plan ahead. Travelling across town to watch the game with your best buddies? 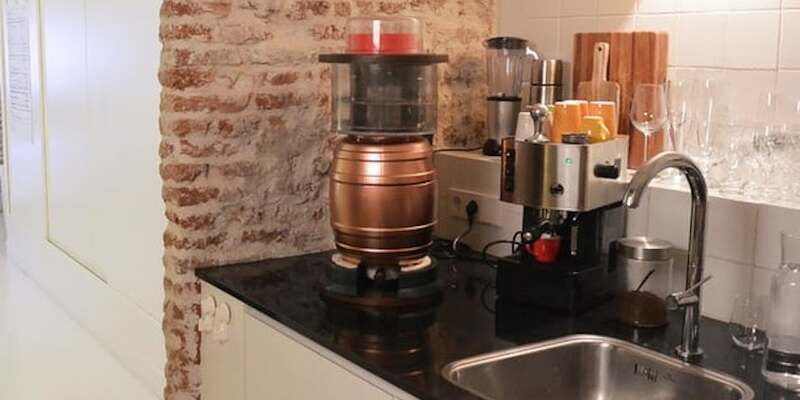 The MiniBrew transforms into a travelling keg, complete with its own tap that is included with each unit. Don’t worry though, taking it with you does not mean you need to share because you probably won’t want to with over 50 unique flavours and recipes to choose from. The unit really is a self-contained brewmaster. It brews, cools and ferments the beer without ever leaving your countertop. If you develop separation anxiety from your tasty creation you can also monitor its progress with real-time feedback through your smartphone. If you thought Facebook was a bad distraction at work, just wait until you can watch beer being brewed on your kitchen counter, while sitting in the office. The price tag is a little hefty at $1199, but they are on sale right now for $899, so if you feel like saving $300, grab yours today! For more information on the MiniBrew, visit the website here. Looking for a great gift for your bridal party or you are a brewery that wants a cool and unique promo giveaway. Check out Bottle Breachers! St. Patrick’s Day is every beer lovers favourite holiday. To help with your St. Patty’s party, here are Calgary’s top Irish pubs to visit on March 17th. Not sure what to get your significant other’s Dad for Christmas? Did you pick the weird guy at the office for Secret Santa? Feeling like treating yourself this holiday season? Here are 12 awesome gifts for anyone who enjoys a cold one from time to time.